Gift 2: This set includes six Christmas Text Overlays, which are transparent .png files and I also made them into .abr photoshop brushes. The brush set are created in Photoshop CS3, so they're usable in Photoshop CS3 up to CC 2015. The Overlays are ,png files, so that means when applied you can recolor them, use Photoshop Styles, Patterns and Gradients on them. Hope they can be of some use, stay warm and Peace! It's great to see you back, Jerry! 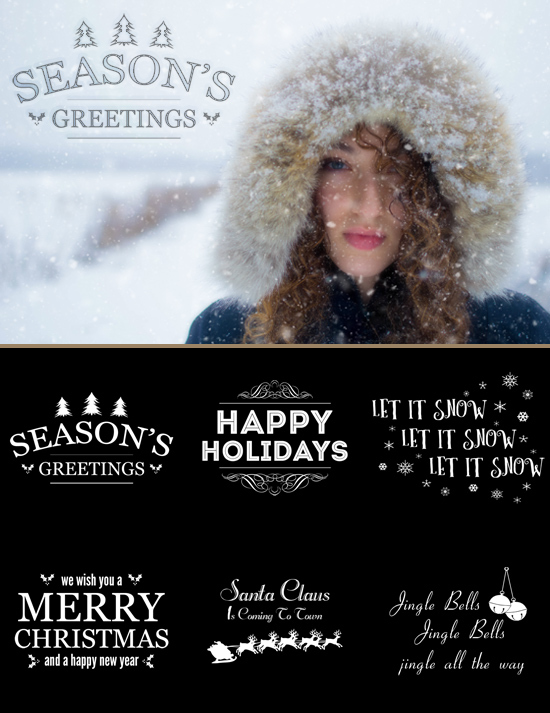 Many thanks for the snow overlays and for the wordart overlays. A very Merry Christmas and Happy New Year to you and yours! Thanks for the Christmas gifts!